Alexis and Elliott take a closer look at the man many consider to be one of the country's worst presidents, #29 — Warren G. Harding. They talk with The New Yorker writer Jane Mayer, former Nixon counsel John Dean, and enlist the help of comedian Paula Poundstone, Radiolab's Robert Krulwich, and others, to bring Harding's raunchiest scandal to life. 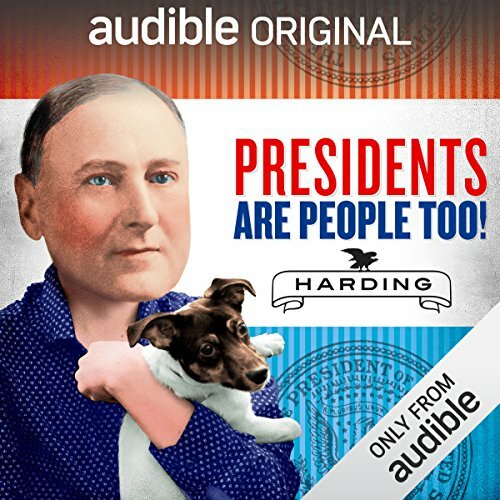 Presidents Are People Too!, an Audible Original, recasts each of the American presidents as real-life people, complete with flaws, quirks, triumphs, scandals and bodily ailments. Hosts Elliott Kalan, former Daily Show head writer, and American historian and author Alexis Coe talk to experts, comedians, journalists, actors and re-enactors to better understand the men memorialized on the Washington Mall and those all but forgotten.